Workbusters will work magic in your business or home. Whatever your needs, our cleaning company can do it. 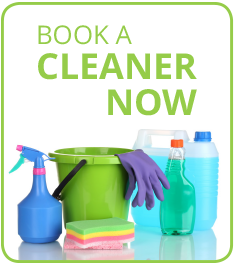 We are specialists at one off cleaning, deep, and a variety of cleaning services. With over 20 years of experience, Workbusters are the best choice for you. Whether you’re letting your property out to new tenants, or need your house cleaned after a party, Workbusters one off cleaning services are perfect. Using deep cleaning techniques for carpets, furniture or any other upholstery, you can rest while our team of fully vetted cleaners make your property sparkle. We have over 500 happy customers using Workbusters for a range of our cleaning services, and we will be more than happy to service your house or business. We are professional, highly efficient, thorough cleaners who relish the chance to workbust your home or business and give you peace of mind. Our friendly London-based Workbuster teams will tackle all one off cleaning and maintenance jobs. Let us work for you! Our expert team of carpet and upholstery cleaners work their magic on carpets, rugs, sofas, chairs, dining room chairs, mattresses. We will offer friendly and professional advice on getting rid of those ink spots, red wine stains, candle wax drips. We will deep clean windows, frames, shutters and blinds. We will polish chandeliers and silver. Stone, marble or wooden floors – all carefully cared for. We will clean limescale and mould. Outside – we will jet clean patios, revive decking and more. Having a party and you need help – we can clean before and provide serving staff during. Just had a party and you need help? Call us! We love to clean up after parties. In-Laws coming for the weekend and the home has to spotless? Call us and relax. If you require one off cleaning for your home or office in London, see what we can do for you!